A community group working to save the McNeil's Beach lighthouse on Boularderie Island says last week's storm surge has underscored the need for swift action. 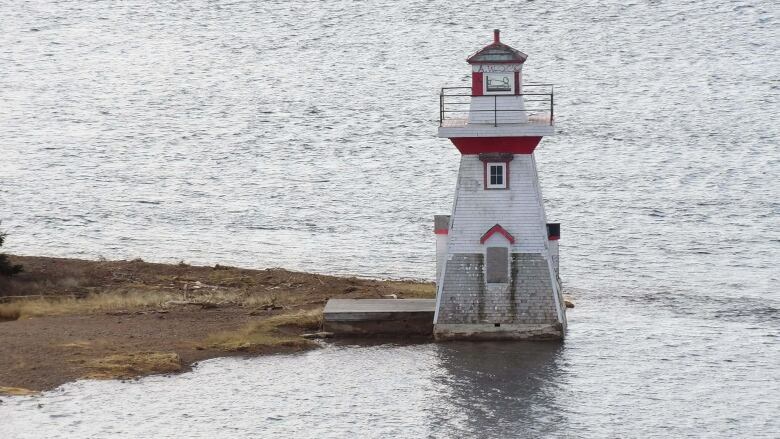 Last week's storm surge has added extra urgency to efforts to save a picturesque lighthouse on Boularderie Island, N.S. 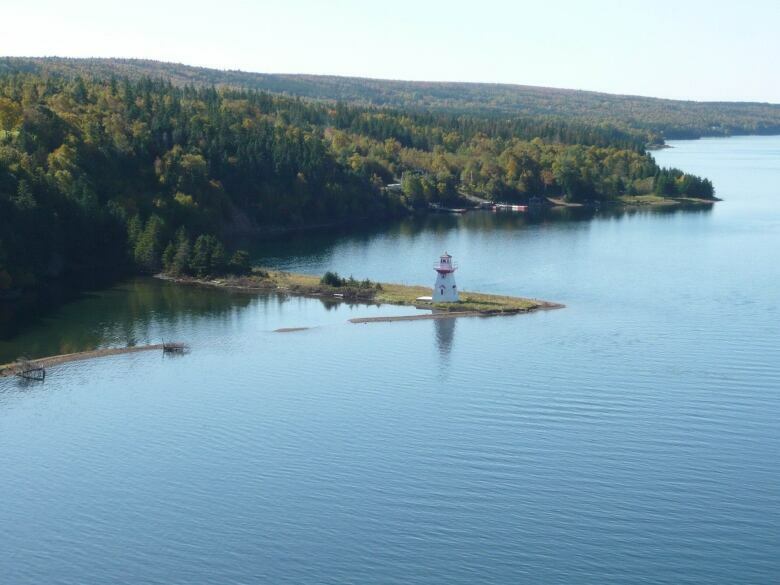 Sitting on a sliver of beach that protrudes into the Great Bras d'Or Channel, the McNeil's Beach lighthouse is an iconic sight for people driving over the Seal Island bridge in Cape Breton. "Peggys Cove is probably the most photographed [lighthouse] ... but this lighthouse is on the Trans-Canada Highway going to Newfoundland, and all of the cars that go by look out on that lighthouse," said Ron Stewart, an area resident and former politician. But its unique setting could be its downfall. In recent years, the rising sea level has been swallowing up the beach. And during last week's nor'easter, the water rose as high as a metre up the base of the tower. "I practically wept," said Stewart. "I just took one look and said, 'This is it. We've finally seen the apocalypse.' And so what it did, it really intensified our efforts to restore that icon." Originally constructed in 1884, the structure has undergone two restorations — the first in 1909 after it was destroyed by ice. It was decommissioned in the 1960s and sold to a private owner. That person later donated it to Acadia University, but after a second restoration led by a community initiative, it was returned to the private owner. His descendant is now keen to see it restored once more, and is willing to donate it to a not-for-profit group committed to preserving it for the benefit of the community, said Stewart. Stewart believes the lighthouse will have to be moved to ensure its long-term survival, possibly to an adjacent piece of forested land owned by Acadia. The next steps involve getting the not-for-profit group together, and raising the estimated $200,000 to $300,000 needed to do the rebuild. Last week's storm has put increased pressure on getting that done, said Stewart. "Having lived through that nor'easter, I don't know ... I think it will last the winter, but that's an optimistic guess." 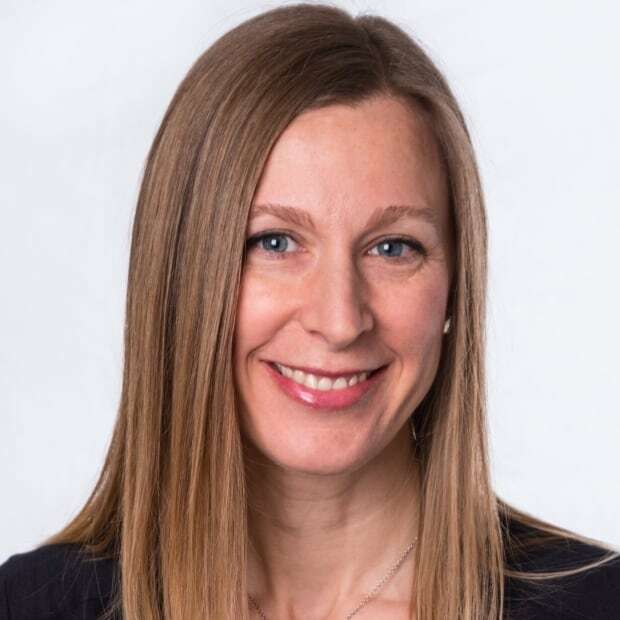 Holly Conners is a reporter and current affairs producer who has been with CBC Cape Breton since 1998. Contact her at holly.conners@cbc.ca.